In this post we’re going to show you the best bench power supply for electronics hobbyists. 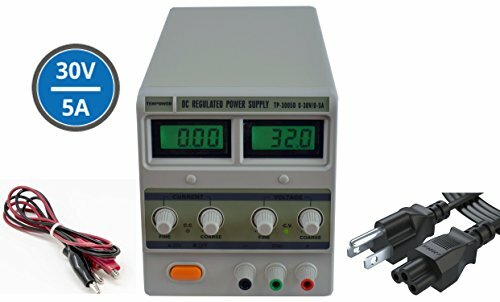 So, if you’re an electronics hobbyist looking for a bench power supply for your electronics experiments, you are in the right place. 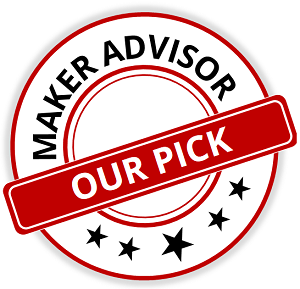 The best power supply for you depends on what kind of projects you intend to experiment with. We’ve put together a list with the best bench power supplies for electronics hobbyists. You can continue reading this page to discover the features you should look for in a bench DC power supply. 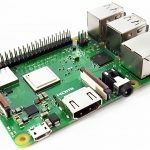 Why do you need a bench power supply? 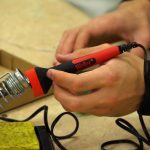 A bench power supply is a really practical tool when it comes to circuits. It allows you to power your circuits before they are finished, to test individual circuits, to experiment, etc. 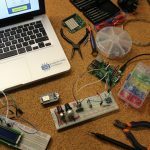 This way, you don’t need to have a specific power supply for each project you want to test. It makes your life simpler, allows you to test your ideas much quicker, and provides a reliable source of power at different voltages. Fortunately, nowadays, simple bench DC power supplies aren’t that expensive anymore. 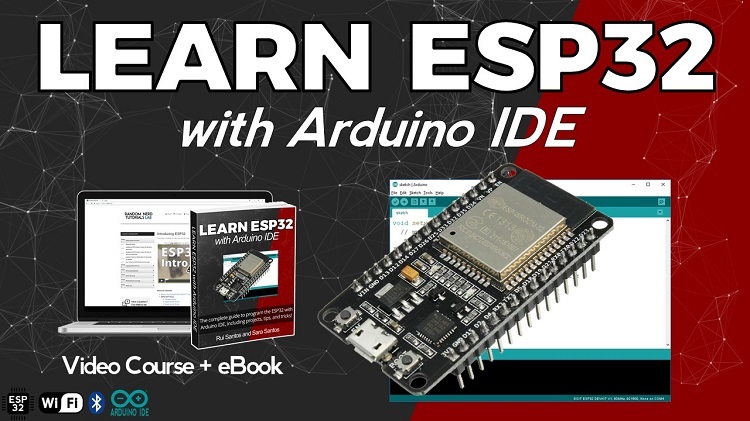 You can even build your own (which we don’t recommend if you’re a beginner in electronics). 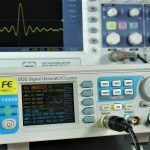 What should you look for in a bench power supply? 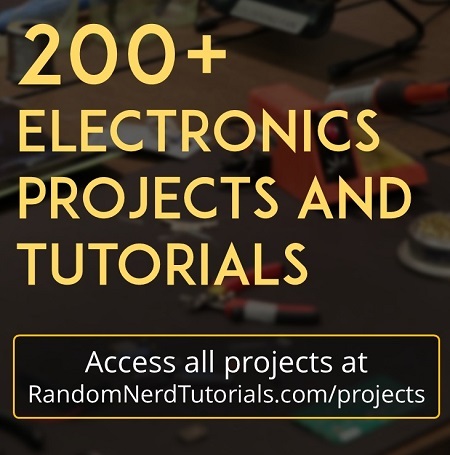 It is important to know how much voltage and current the bench power supply can provide, and if it is able to provide enough power to most of your projects. If you’re supplying your circuit with some voltage, the power supply must be able to keep up with the current drawn. You should look for the bench DC power supply power envelope. 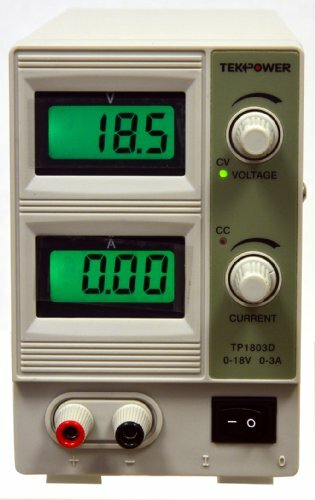 This shows the possible current values it can draw at different voltages. Current limiting control is a great feature, specially if you are a beginner. This features allows you to set a safe current limit to protect your components. In many cases, using a single output channel does the job, and it is more affordable. Power supplies with multiple outputs are more expensive, but can be handy in cases you need different supplies simultaneously. Power supplies are available in switch-mode (switching) or linear designs. The difference between them is how they produce DC power. Each one has advantages and disadvantages, but in general switching power supplies tend to be lighter and more compact. On the other side, linear power supplies are better suited for powering sensitive analog circuitry because they have lower electrical noise. 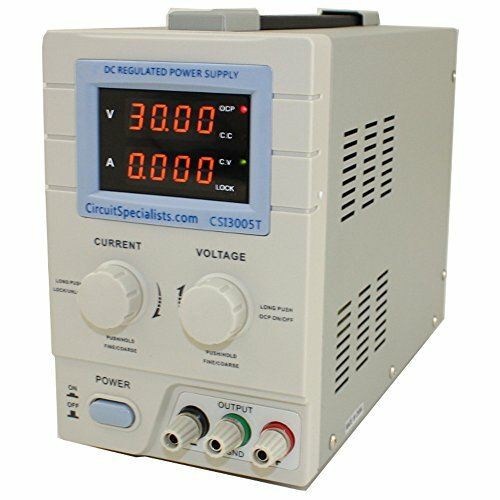 This is a simple power supply with one channel that can supply voltage up to 18V and current up to 3A. It is linear, providing a super stable output and low ripple. You can adjust the voltage and current with the two rotary switches, and turn it on and off using the button switch at the front. The package also comes with two power cord test leads with alligator clips. This is a very good power supply accordingly to the comments on amazon. The only drawback is that the adjustment of the rotary switches is very sensitive, and sometimes it can be difficult to dial the exact voltage you want. However, now there is a new version of this power supply with coarse and fine adjustment that can provide up to 30V and 5A. If you need different power supplies at the same time, there’s a bench power supply from the same brand that can provide three different outputs: two of them with a maximum output of 30V 5A, and the other can provide 5V 3A. 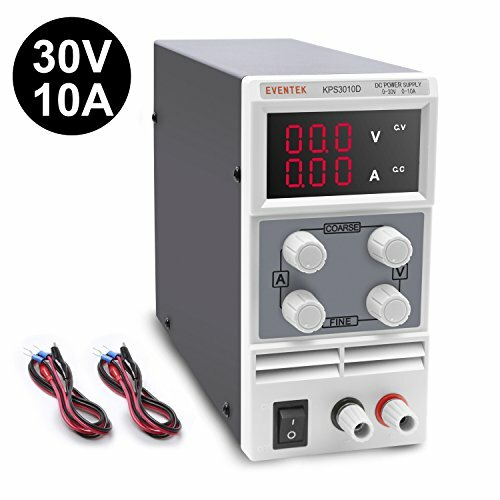 This power supply from Eventek is also a great choice for hobbyists and one of the cheapest you can find. It is compact, and can provide 0 to 30V and 0 to 5A with an accuracy of 0.1V and 0.01A. It has four rotary switches: two for coarse adjustment, and other two for fine adjustment. It can operate in constant voltage and constant current mode. It is equipped with limit current protection, thermal protection, voltage overload protection, and short circuit protection. The package also comes with test leads. There’s a similar power supply that can provide up to 30V and 10A. This is perfect if you intend to work in a higher range of current. 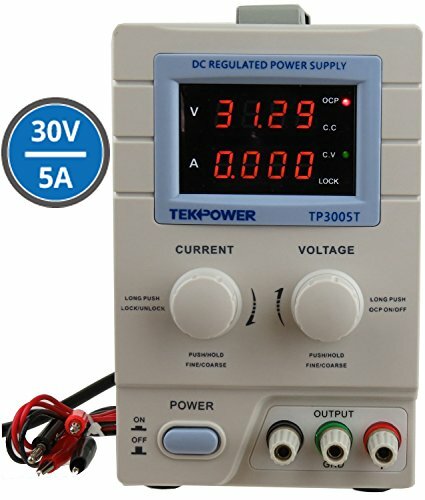 This bench DC power supply from Tekpower can provide up to 30V and 5A. Its features include: linear mode, coarse and fine adjustment, button lock function, operation in constant voltage or constant current. It also allows to set current limiting or voltage limiting control. 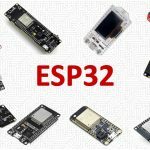 This is definitely a great choice for a beginner or electronics hobbyist. 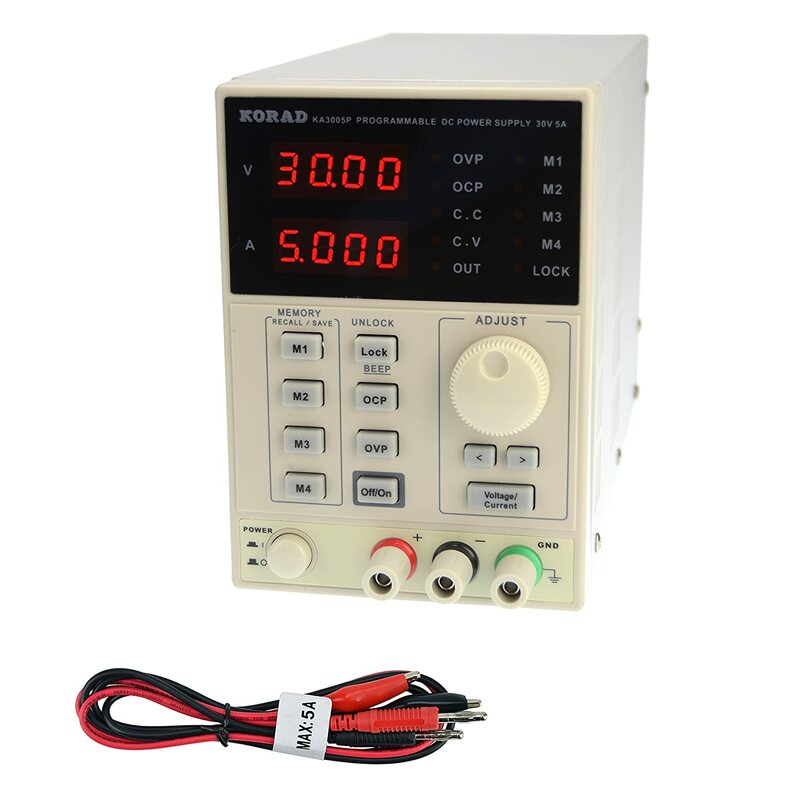 The Korad KD3005P is a linear power supply that provides up to 30V and 5A and has a 4-digit LED display. 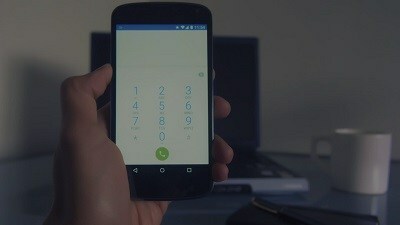 It comes with a lot of great useful functionalities for the price. 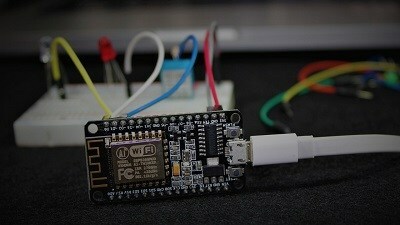 Something really useful are the memory buttons (M1, M2, M3, M4). These allow you to save different settings by default (voltage and current). For example, you can save in M1 a configuration of 3.3V 500mA, and in M2 5V, 1A. Every time you want to change between these settings you just need to press the memory buttons – there’s no need to rotate the knob. 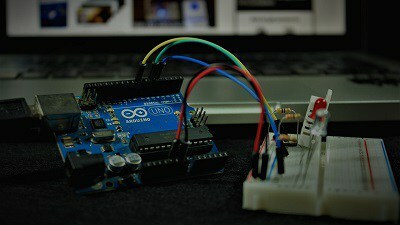 You can also connect the power supply to your computer and use their software to control the power supply with additional functionalities. For example, you can output a a sequence of voltages at specific time intervals. Additionally, you can save all the data to a txt file, which is great to analyse and plotting the data later on. In this post we’ve shown you the best bench power supplies for electronics hobbyists. All the power supplies presented are good choices. However, the best power supply for you will depend on your needs, and how much you are willing to spend. If you are on a lower budget and the operating range of 0 to 18 volts and 0 to 3 amps is suitable for you, then pick the Tekpower TP1803D. 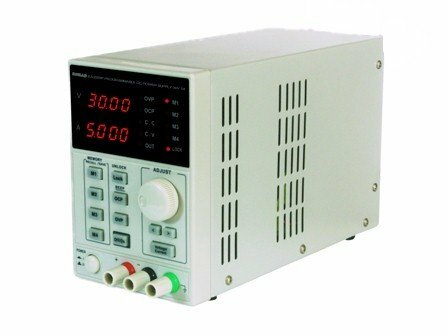 KORAD K3005P Programmable Power Supply - If you are not worried about how much you'll spend, the KORAD K3005P is a great choice. The memory buttons are really useful to save the voltage/current settings you use more often. Moreover, the software provides additional functions, datalogging, and much more. Finally, if you need a wider operating range, then go for the Eventek KPS3010D, which can provide up to 30V and 10A. We hope you’ve found this list useful. Thanks for reading. 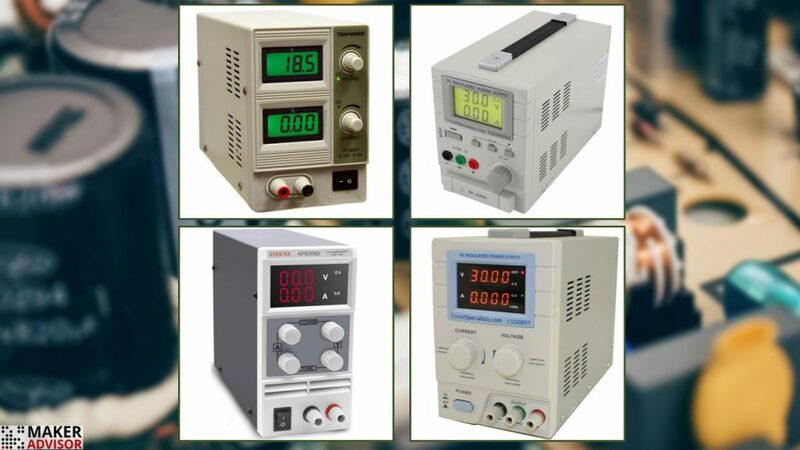 It is necessary to mention that the range to which they belong These Power Supplies already have memory (M1, M2, M3) this helps us a lot so as not to be touching the voltage and current configuration whenever we need a different parameter, for example in M1 we save a configuration of 3.3V with 500mA and in M2 5v with 1Am. move from one to another with just press a button such as Korad ka3005p and Tekpower tp3005p.